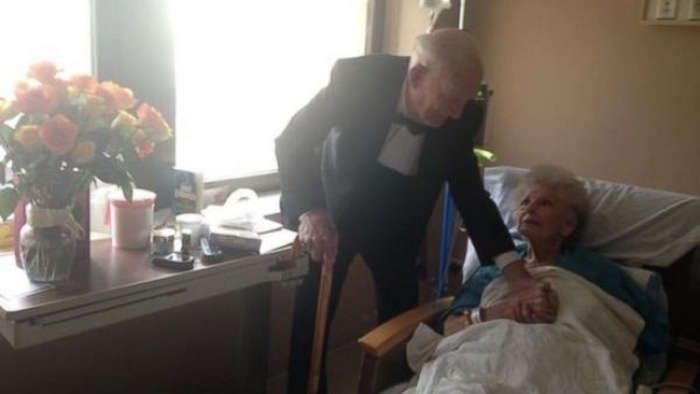 Jim Russel's wife Elinor had to spend their 57th wedding anniversary in the hospital but that didn't stop Jim from making her day. 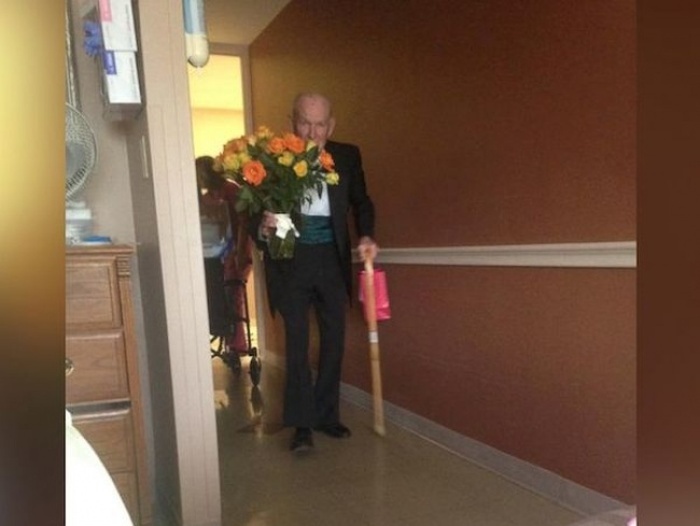 He put on a tuxedo, grabbed a cane and some flowers and made sure that she knew how special she is to him. That's true love right there.